State Minister for Finance, David Bahati said that cabinet on Monday discussed the essentials of reviving Uganda Airlines such as financing and operation model. The cabinet, he said agreed to move on with the project. "Cabinet agreed to move on with the Uganda Airline project," Bahati said. 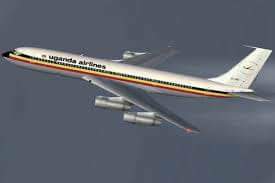 "The technical issues which we have been discussing, we have now agreed that we work out a technical programme and we hope by March or April 2019 we will have our first flight launched," he added. The Works and Transport Minister, Engineer Monica Ntege Azuba two months ago had promised that Uganda Airline flight would be launched by December. She said government ordered for four aircrafts of Bombardier type, Azuba with 80 to 100 passenger capacity and will in 2019 purchase two Airbus A330 series 800 wide - twin-engine propeller aircrafts. Bahati said Ministry of Finance and Works had earlier completed technical evaluations which would achieve the revival of the airline in December but cabinet members had many questions. "We want to make sure that we are doing the project the right way, getting the right assets, using the right procedure and we agreed on all those issues," he said. The government budgeted 139 billion shillings in the revamping of the airline in the 2018/19 financial year. The government needs at least 1.3 trillion shillings to purchase 6 aircrafts as intended.